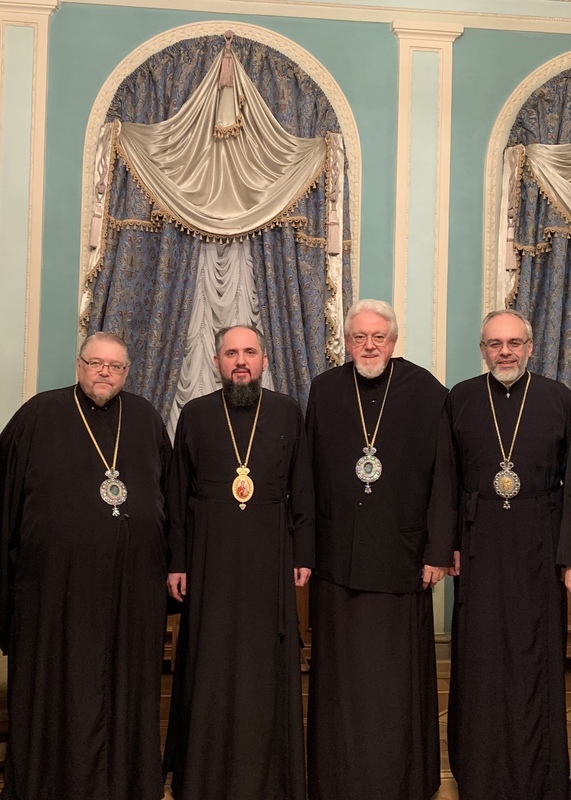 On Wednesday, February 6, 2019, the feast of Venerable Ksenia of Rome (Oksana), the hierarchs of the Ukrainian Orthodox Church of the USA held a meeting with His Beatitude Metropolitan Epiphany of Kyiv and All Ukraine, the Primate of the Orthodox Church of Ukraine. Welcoming His Eminence Metropolitan Antony and Archbishop Daniel, His Beatitude Metropolitan Epiphany expressed his gratitude to the hierarchs of the UOC of the USA for their participation in the enthronement services and the support offered in the process of formation of the Orthodox Church of Ukraine. Responding to the welcoming remarks, Metropolitan Antony once again congratulated the Primate of the Orthodox Church of Ukraine on his election to the office of the Metropolitan of Kyiv and All Ukraine. 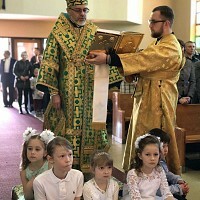 “We prayerfully look forward to your service to the Gospel and Body of Christ in God-loving Ukraine, which will be guided by the Holy Spirit and lead to the final ecclesiastic unity in the Holy Orthodox Church of Ukraine,” – stated Metropolitan Antony. 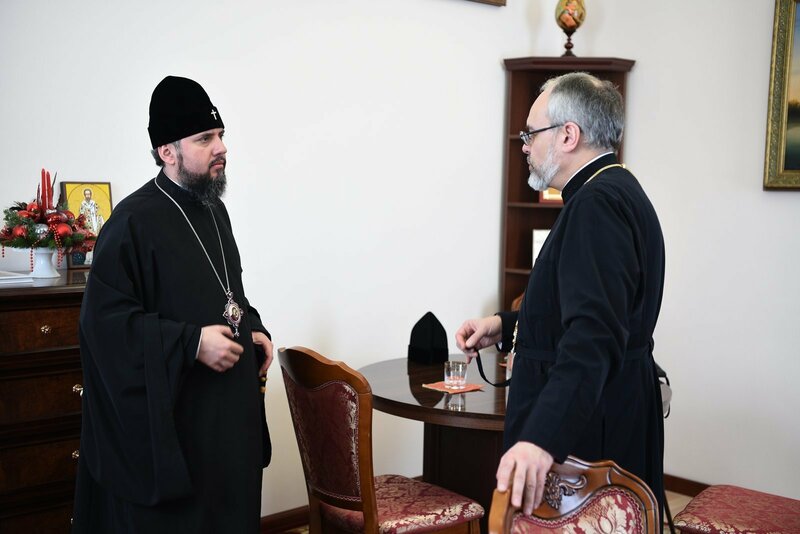 Expressing his gratitude, Metropolitan Epiphany discussed with the hierarchs of the UOC of the USA the outcome of the most recent Holy Synod meting of the Orthodox Church of Ukraine and the appointment and formation of the Synodal departments. 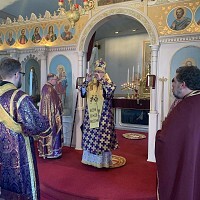 As a token of prayerful respect, Metropolitan Antony and Archbishop Daniel presented Metropolitan Epiphany with a triple set of liturgical panagias and a cross; while the Primate of the Orthodox Church of Ukraine presented the hierarchs of the UOC of the USA with hierarchical panagias that were issued in honor of the formal election and Enthronement of the Metropolitan of Kyiv and All Ukraine. Being in a building of the Kyiv Theological Academy, the hierarchs of the UOC of the USA toured the academic facility of the Church and met with the professors and students of the Academy. 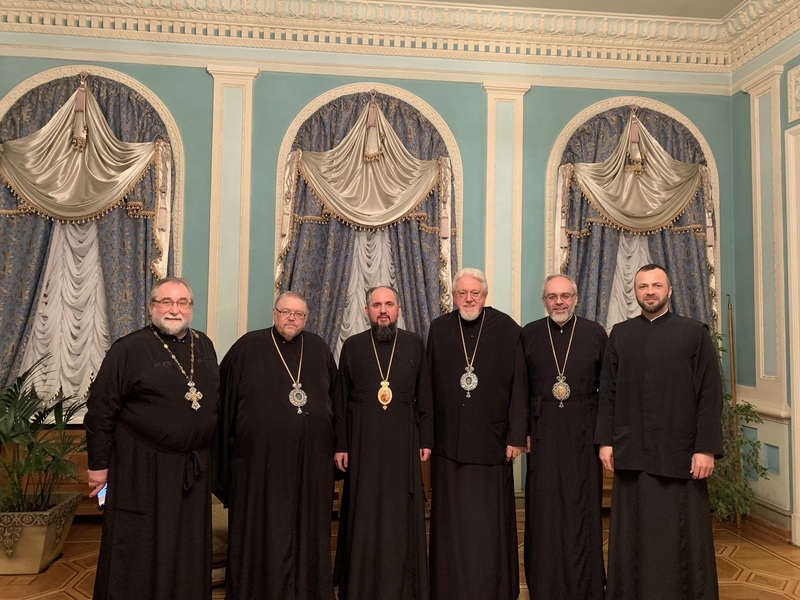 Earlier in the week, the hierarchs of the UOC of the USA held a joint meeting with Metropolitan Epiphany and Metropolitan Yuriy of the Ukrainian Orthodox Church of Canada and the Exarch of the Ecumenical Patriarchate in Ukraine, Archimandrite Michael (Anischenko). 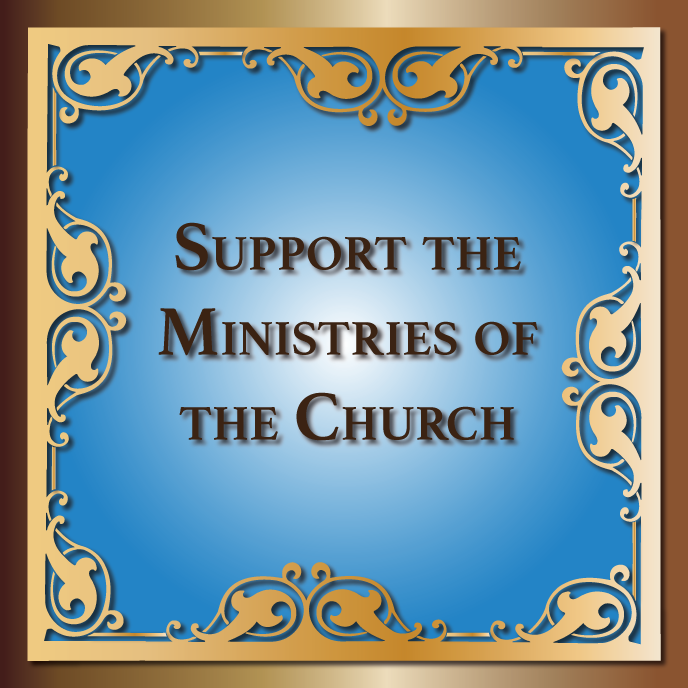 During the meeting, the participants discussed the steps for joint cooperation in order to further the ministry of the Gospel of Christ to the flock of Orthodox Christians in Ukraine and throughout the world. 5 лютого 2019 р. відбулася зустріч ієрархів Української Православної Церкви США та Української Православної Церкви Канади з Предстоятелем Православної Церкви України Митрополитом Київським і всієї України Епіфанієм та Езархомом Вселенського Патріархату в Україні архімандритом Михаїлом (Аніщенком). Зокрема у зустрічі взяли участь: Предстоятель УПЦ Канади митрополит Юрій, Предстоятель УПЦ США митрополит Антоній, архієпископ Памфілійський УПЦ США Даниїл і прот. Тарас Удод – голова Президії Консисторії УПЦ Канади. Архіпастирі обговорили поточну церковну ситуацію в Україні, накреслили плани на подальший її розвиток у правильному руслі, а також підняли низку важливих питань щодо врегулювання і вдосконалення міжцерковних відносин міх Українськими Церквами по всьому світу. Також владики поділилися своїми враженнями від нещодавнього урочистого богослужіння у Святій Софії Київській у день інтронізації Митрополита Київського.